On the south side of Indian River Bay is a small Delaware State Park called Holts Landing. 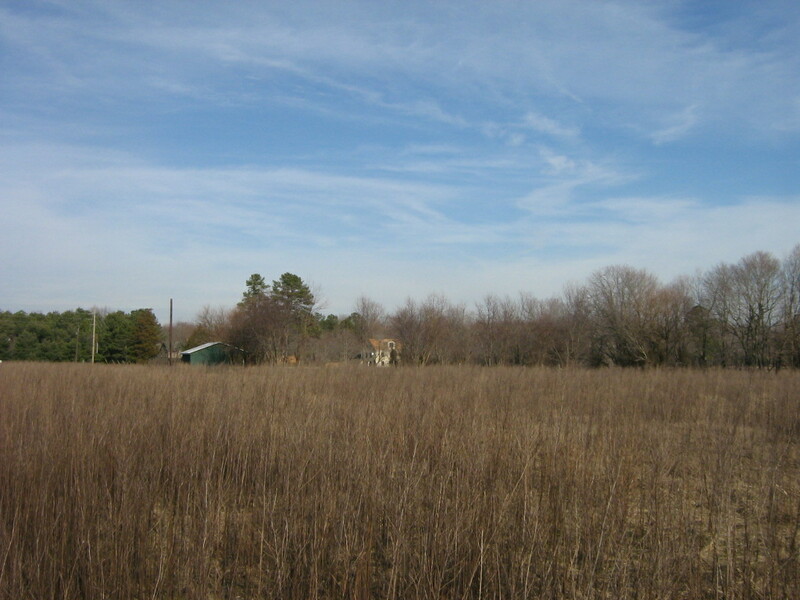 It is a few miles north of Millville, Delaware. 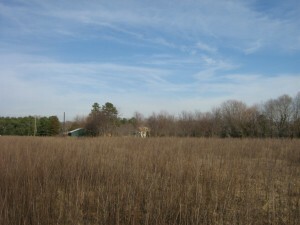 I covered the area around the park during the recent Rehoboth Christmas Bird Count. Not only does this park have waterfront on Indian River Bay and excellent scenery, but is has wonderful forest, swamp, and thicket habitat as well. The old field and thicket habitats at Holts Landing provide lots of habitat for a variety of sparrows, including lots of Song Sparrows. The trail system is good for about a 2-hour stroll, if you take it slow to fully investigate. 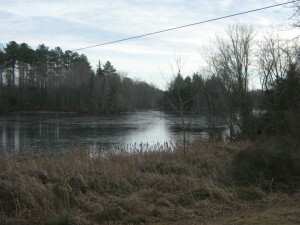 These trails pass through a mix of young forest, swampy woods, wooded ponds, old field and thicket. My friend Jim Hall, the Nature Center Manager at Delaware Seashore State Park, says it’s an excellent place to find reptiles and amphibians in the warmer months. It was warm enough on Saturday that I heard several calling Spring Peepers, a small type of treefrog. Regarding birds, this little park was really productive on the Rehoboth Christmas Count last Saturday. 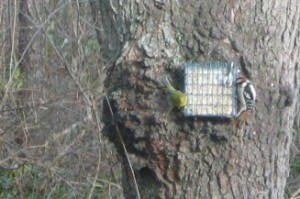 I encountered some excellent wintering species such as Gray Catbird, Hermit Thrush, Great Horned Owls and Eastern Screech-owls, Yellow-bellied Sapsucker, Brown Creeper, Golden and Ruby-crowned Kinglets, lots of Yellow-rumped Warblers, a Pine Warbler, Purple Finches, Pine Siskins, and hordes of sparrows including 3 Fox Sparrows. Just outside the park, there are lots of farm fields where you may see other species of animals and birds. This is great, since much of the surrounding area looks like it is being developed. 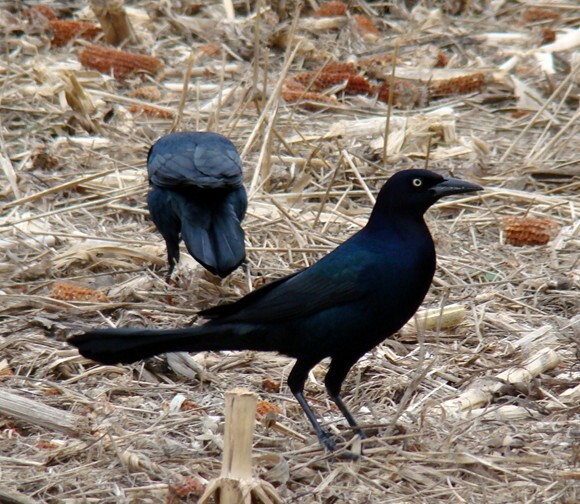 A flock of about 300 Boat-tailed Grackles fed in a corn field just outside the park. This is the largest flock of this coastal species I have ever seen. The waterfront in the park looks over Indian River Bay and is a good place to see waterfowl in winter. I saw lots of Bufflehead which are a small diving duck, as well as Red-breasted Merganser, Common Goldeneye, and Common Loon. One of the Loons gave its summer “crazy as a loon” call, which was unexpected. 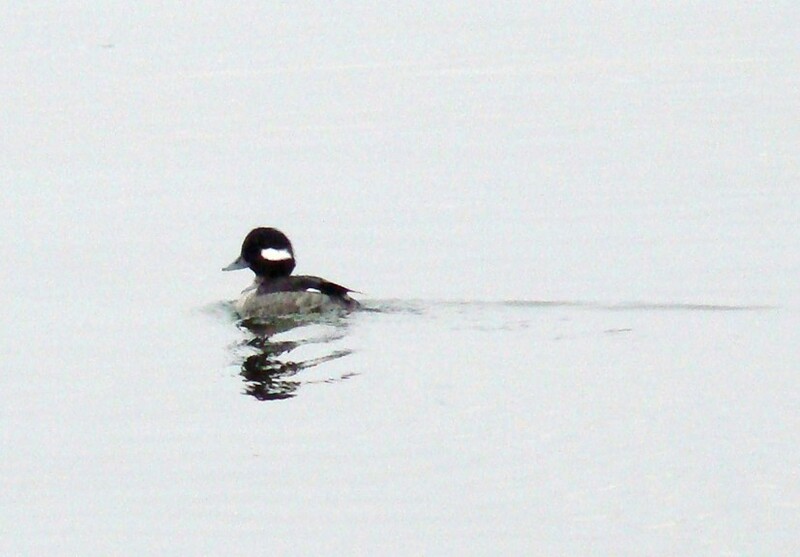 This female Bufflehead swam past the pier at the park. Have you visited Holts Landing State Park? If not, take time out for a walk there if you are around the Bethany Beach/Millville area. This year for Christmas, my wife and I traveled to Myrtle Beach, SC to visit my parents. Myrtle Beach is the heart of the “Grand Strand”, a 20-mile long area in northeastern South Carolina known for its hundreds of golf courses, high-rise hotels, and miles of developed beach. Natural settings can be found in the area if you look around. My favorites include Huntington Beach State Park, Brookgreen Gardens, and the Lewis Ocean Bay Heritage Preserve, just outside town which has the most dense population of Black Bear outside the SC mountains. Behind where we stay at a development called “Myrtlewood”, there is a lot of open loblolly pine woods with yaupon holly thickets that have not yet been developed. Over the last 20 years, many of the woodlands I used to walk here have been have turned into office complexes, condo developments, etc., as this area probably will be once the economy turns around. 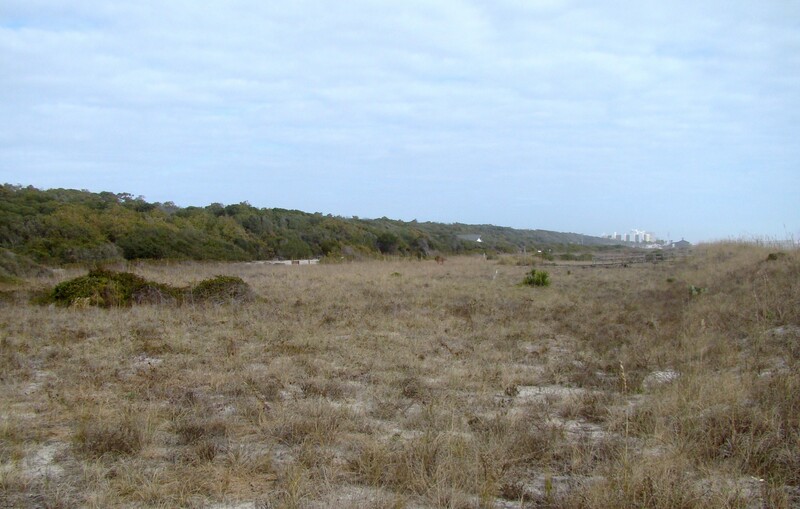 Anyway, for now, “Myrtlewood” development is an outstanding place to bird and look for wildlife. A Loggerhead Shrike surveys the thicket at Myrtlewood. Over the last 3, gloriously warm 70-degree days in Myrtle Beach, we have seen lots of birds, and even lizards, frogs and butterflies. 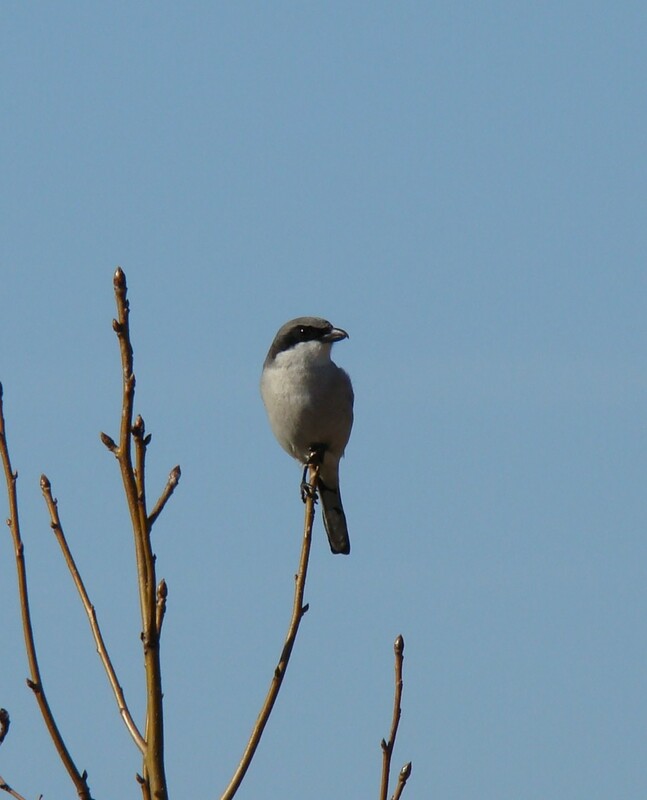 One of my favorites is the Loggerhead Shrike, which is pretty common around Myrtle Beach, even in town. We got a quick look at a Baltimore Oriole here as well, which is scarce wintering species on the southeast coast. A Squirrel Treefrog is active in the 70-degree Christmas-day temperatures. Reptiles and amphibians have been active as well this week. It doesn’t seem like Christmas here unless Spring Peepers are calling, Squirrel Treefrogs are out hunting, Green Anoles are scurrying, and turtles are basking in the ponds. We even saw a few Cloudless Sulphur butterflies flitting about. I am just in a little bit of shock because when we left on Monday morning to drive here, it was 15 degrees in Delaware! Myrtle Beach State Park back-dunes and maritime forest. Another one of my favorite places to walk and identify birds, plants and anything else is Myrtle Beach State Park. 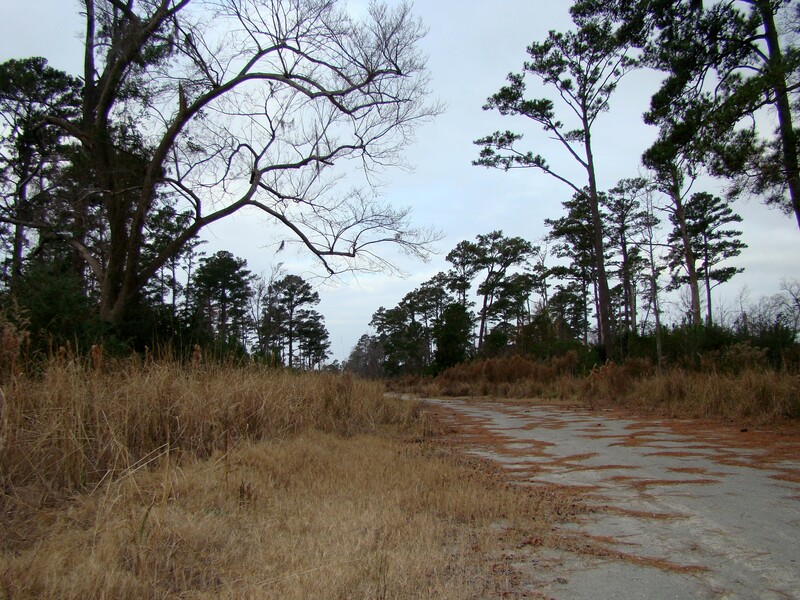 This park is about 300-acres in size, and contains the last unspoiled maritime forest in the Grand Strand. The forest here is a mature mix of live oak, southern magnolia, pignut hickory, tuliptree, sweetgum, yaupon holly, sweetbay magnolia, and many other plants. It is extremely diverse, and on this December day, is very much filled with evergreen plants. Flocks of birds flit through the forest, many of which are not abundant in Delaware. 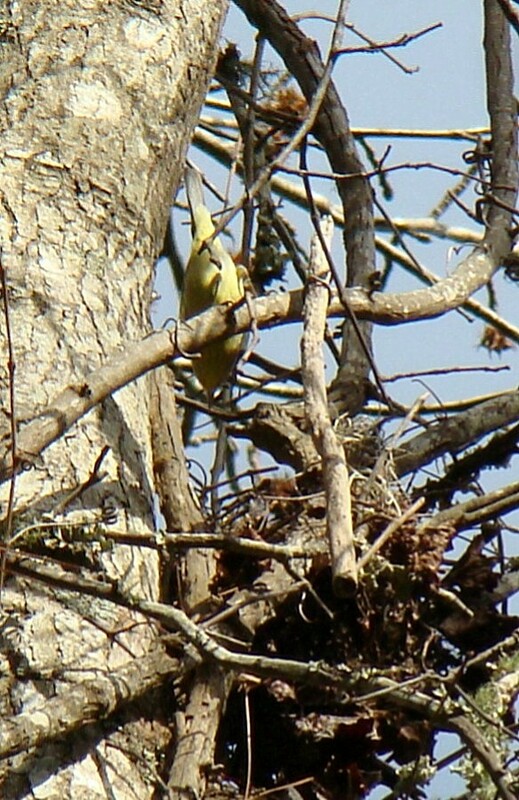 For instance, we saw 5 Orange-crowned Warblers in one mixed flock here. An Orange-crowned Warbler pokes its head into sticks and dead leaves. Red-throated Loon, Common Loon, Pied-billed Grebe, Northern Gannet, Brown Pelican, Double-crested Cormorant, Great Egret, Great Blue Heron, Wood Stork (just one soaring overhead), Canada Goose, Mallard, Ring-necked Duck, Hooded Merganser, Red-breasted Merganser, Ruddy Duck, Black Vulture, Turkey Vulture, Bald Eagle, Sharp-shinned Hawk, Red-tailed Hawk, American Kestrel, American Coot, Killdeer, Ruddy Turnstone, Sanderling, Laughing Gull, Bonaparte’s Gull, Ring-billed Gull, Herring Gull, Great Black-backed Gull, Rock Pigeon, Mourning Dove, Great Horned Owl, Belted Kingfisher, Red-bellied Woodpecker, Downy Woodpecker, Yellow-bellied Sapsucker, Northern Flicker, Pileated Woodpecker, Eastern Phoebe, Tree Swallow, Blue Jay, Fish Crow, Carolina Chickadee, Tufted Titmouse, Brown-headed Nuthatch, Carolina Wren, House Wren, Winter Wren, Golden-crowned Kinglet, Ruby-crowned Kinglet, Eastern Bluebird, Hermit Thrush, American Robin, Northern Mockingbird, Brown Thrasher, Loggerhead Shrike, European Starling, Blue-headed Vireo, Orange-crowned Warbler, Yellow-rumped Warbler, Pine Warbler, Northern Cardinal, Eastern Towhee, Field Sparrow, Song Sparrow, White-throated Sparrow, Swamp Sparrow, Red-winged Blackbird, Boat-tailed Grackle, Common Grackle, Brown-headed Cowbird, Baltimore Oriole, House Finch, American Goldfinch, House Sparrow. 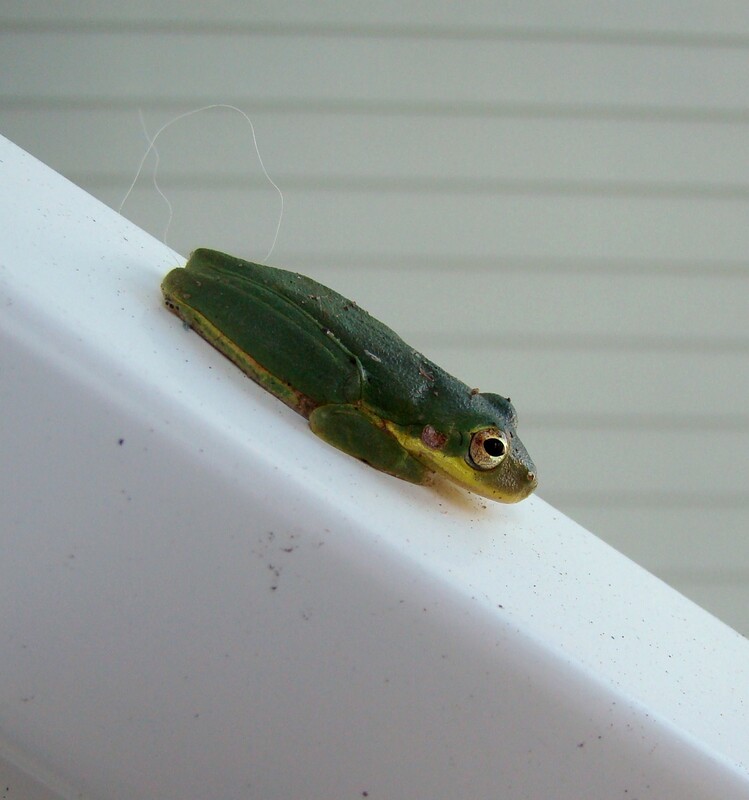 Herps include Squirrel Treefrog, Spring Peeper, Green Anole, Yellow-pond Sliders. 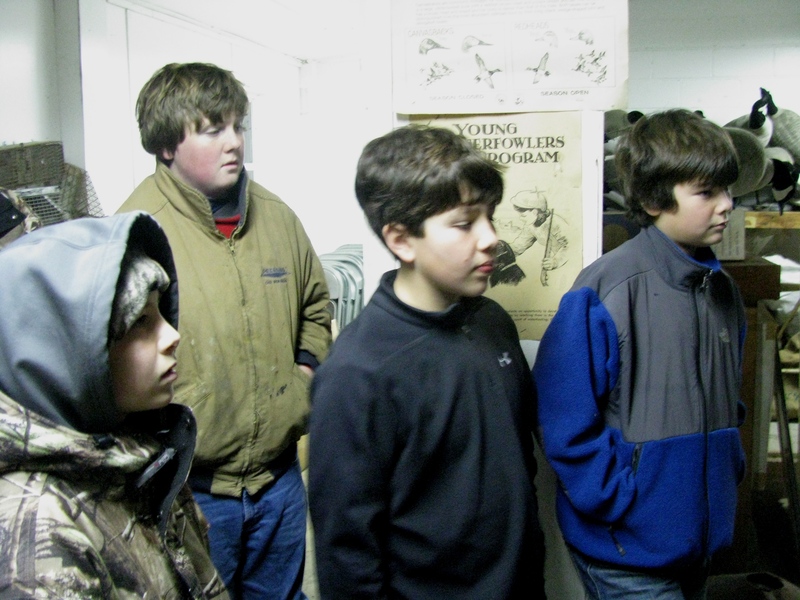 Young Waterfowlers students gather for instructions prior to heading afield. The time: 4:30am! 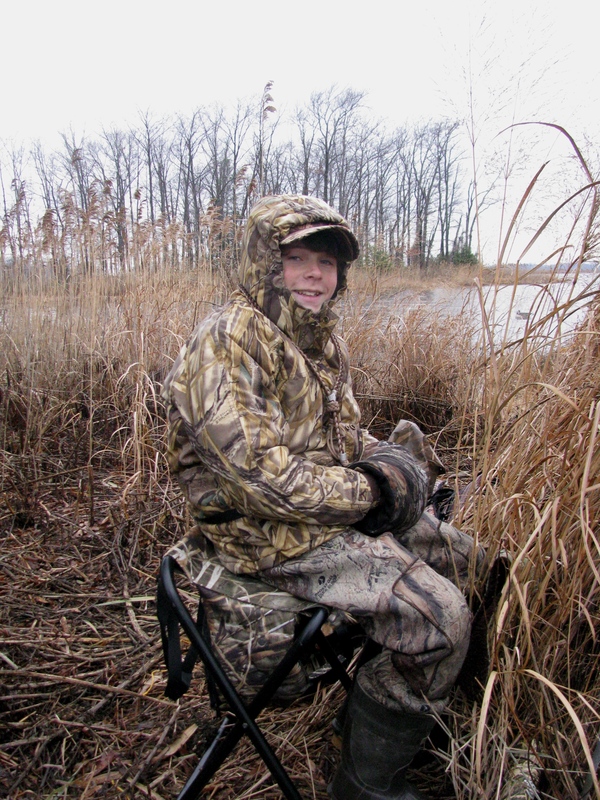 On Saturday, December 20, students in the Delaware Nature Society’s Young Waterfowlers program gathered at Bombay Hook National Wildlife Refuge to take part in the culmination of their weeks of training: a one-time hunt at legendary Bear Swamp. Two hours before dawn, the young men and women were wide-awake, full of anticipation for their first real waterfowling experience. Ellie and Grier are all grins at 5:00am, ready to set up decoys in preparation for the hunt. A dedicated team of expert guides led the students, accompanied by fathers and mothers, to their assigned blinds. The number one rule and goal for the morning was to have a safe outing. The guides helped to set out a variety of decoys to attract the ducks and geese, and would call to the birds when the time came. Flocks of ducks wing over the waters of Bear Swamp. A chilly and overcast sky greeted the youngsters at dawn, one of those mornings where the sky never really gets lighter. Lead-colored clouds scudded overhead as a strong wind from the North blew through. Hundreds of ducks in large flocks circled the swamp, while skeins of Canada and Snow Geese made raucous calls as they headed out to feed in fields. Sitting still while hiding in the blind, the students witness amazing sights: a red fox trotting along the marsh edge, a Bald Eagle flying so close you can hear its wingbeats, and a hooting Great-horned Owl that glides across the swamp. The rush of excitement when a flock of Green-winged Teal buzzes by or a wary Black Duck circles, are moments that make memories for these first-time waterfowlers. 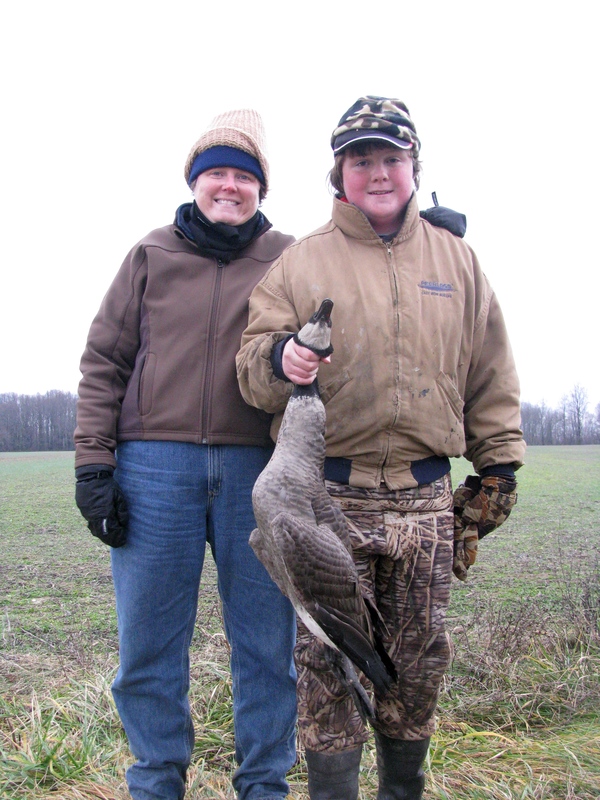 James and his mother proudly display the Canada Goose he bagged. After several hours afield, we pack up the decoys, and gather together to share stories of the hunt. In what was formerly an everyday occurence for humans but is now becoming rare, the hunter’s skill will provide food for the table. Instead of buying a chicken or turkey at the supermarket, a wild Canada Goose makes a fine addition to the holiday table. Wild game or tame game, it’s all the same! 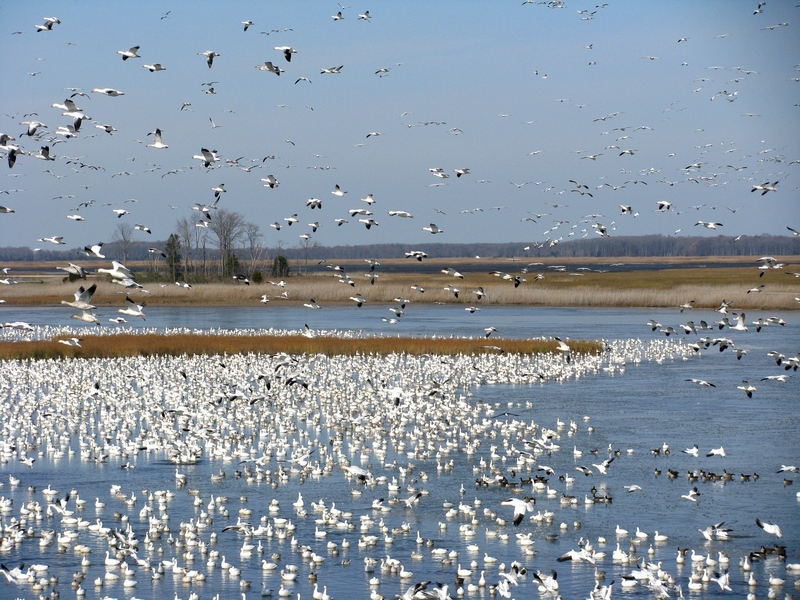 Snow Geese at Bombay Hook NWR. 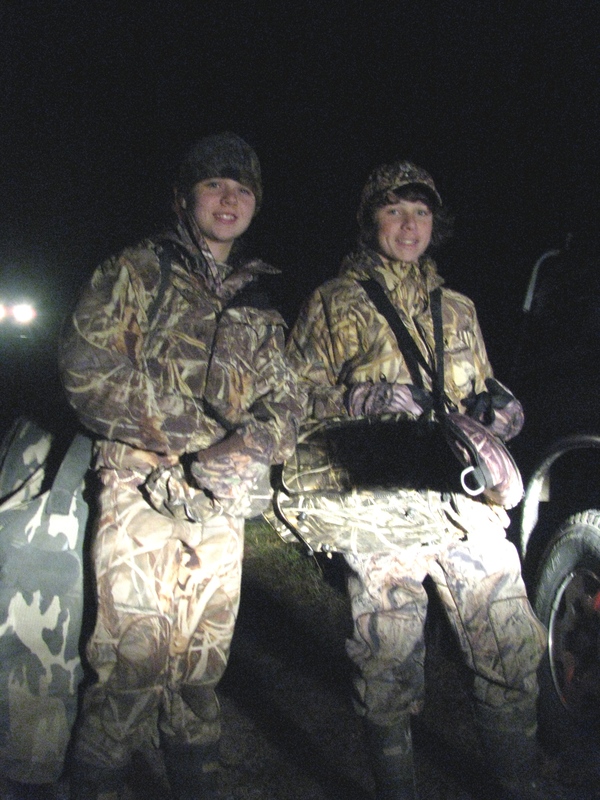 Throughout the Young Waterfowlers class, students learn the importance of wildlife conservation, based upon the simple fact that hunters hold a vested interest in protecting what they pursue. 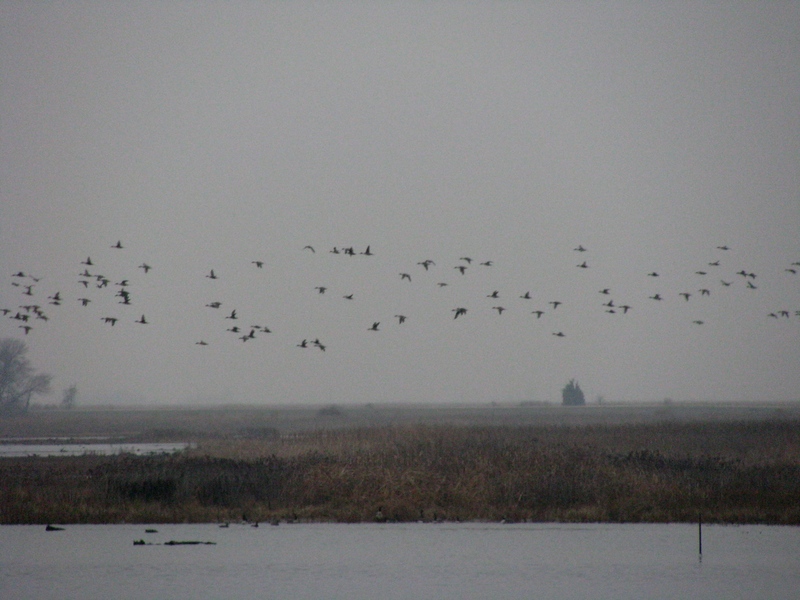 The North American model of game management is renowned the world over, and we are fortunate to have many special places like Bombay Hook that were acquired through hunting dollars. Hundreds of non-game species like songbirds, amphibians, and insects thrive on these refuges, and we all benefit from the rich diversity of wildlife to be found in these places. 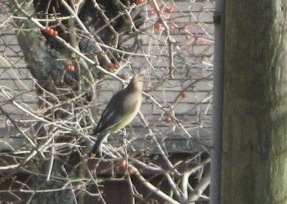 The Christmas Bird Count or CBC season (December 15-January 5) is upon us. This year marks the 109th year of this winter bird census. The Christmas Bird Count began as an alternative to the Christmas “Side Hunts” where teams of shooters would compete to bring back the most feathers and fur. The CBC is conservation in action as Citizen Science participants collect data on bird distribution and populations in 15 mile “count circles”. Preparing for a CBC requires a thorough knowledge of habitat and microclimates within your count area. Some birds, like Tufted Titmice, are predictable while others, like the nomadic Cedar Waxwings, migrate locally between winter fruit sources. Uncommon species like Eastern Phoebe and Belted Kingfisher must be sought out in iceless areas along streams where minnows and aquatic insects (see previous post) are available throughout the winter. The weather is a great influence with driving rain and high winds sending birds (and birders!) into hiding while heavy snow often packs bird feeders with a variety of species. Birds’ well-known songs are of little help and it is the subtle “chip” notes that reveal skulking species. So with scouting in mind, I took a walk around the nature center to see what I could find. I didn’t need to look far before I found a Pine Warbler, Downy Woodpecker, and Brown Creeper all taking turns at a suet block. Pine Siskins “zrrreeeed!” overhead in the canopy of a black cherry and Cedar Waxwings and American Robins joined a lone Hermit Thrush on the crabapple. Two Red-tailed Hawks wheeled overhead amongst a few Turkey Vultures. A layer of ice on Abbott’s Pond has deterred the waterfowl, but two Swamp Sparrows, chipping in the cattails, didn’t seem bothered. 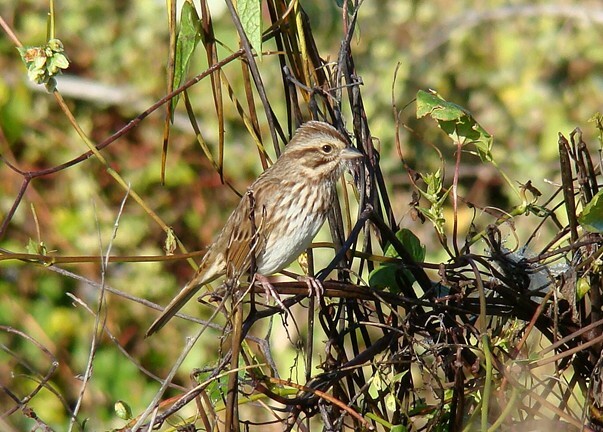 The weedy, seedy Morton Farm field erupted in sparrows that took to the nearest hedgerow. Composed of Song, White-throated, and Field Sparrows, a single Savannah Sparrow was also present. We’ll be keeping our eyes out here during the count for Chipping and American Tree Sparrows as well as wintering American Kestrels. You can explore the results from your local area or better still, find out how you can participate! It’s a great tradition and will provide memories to last a lifetime. Anyone interested in assisting with the Abbott’s Mill Nature Center/Milford Millponds Nature Preserve Count can contact Jason Beale at (302) 593-0486.